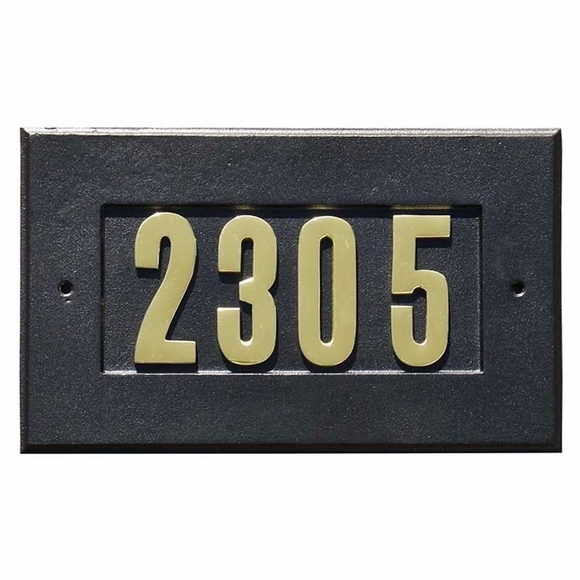 Personalized Address Plaque - - surface mount address plaque made to match our Column Mounted Mailbox, items P2904, 67970F, and 71716F, but can be used separately. Holds up to five (5) 3" gold polished-brass numbers. Wide self-border surrounds the house numbers. Dimensions (approximate): 6.5"W x 11"L.
Colors: black with gold numbers, bronze with gold numbers, antique copper with gold numbers.